The Discovery Channel Telescope (DCT) Enclosure and Support Facility is designed to protect a 4.3 meter optical telescope. 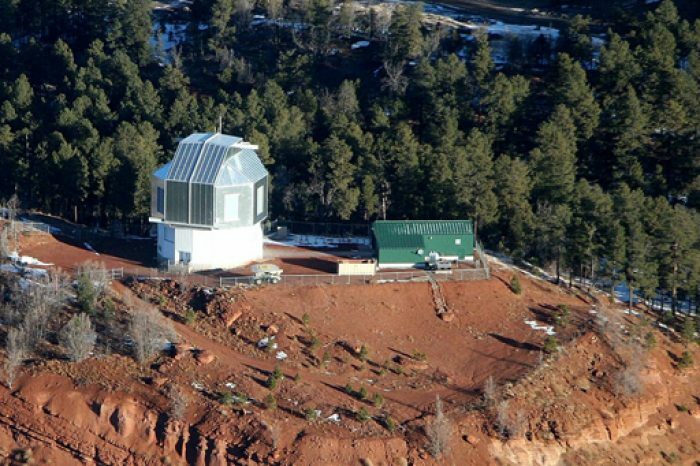 Located at Happy Jack, Arizona, a remote site located approximately 40 miles southeast of Flagstaff, Arizona, on US Forest Service (USFS) land, this facility is designed as an economical and efficient use of materials and systems. Due to the high labor cost of remote site construction, the facility is designed to minimize on-site construction labor by having system components that are assembled off-site and in the shop as much as possible. This provides a better product and lower on-site construction costs. As cost saving measures, the facility is laid out as two separate structures. The Fixed Enclosure, Pier and Rotating Dome designed as a stand-alone structure houses the Instrumentation Lab, Control Room and Support Spaces. 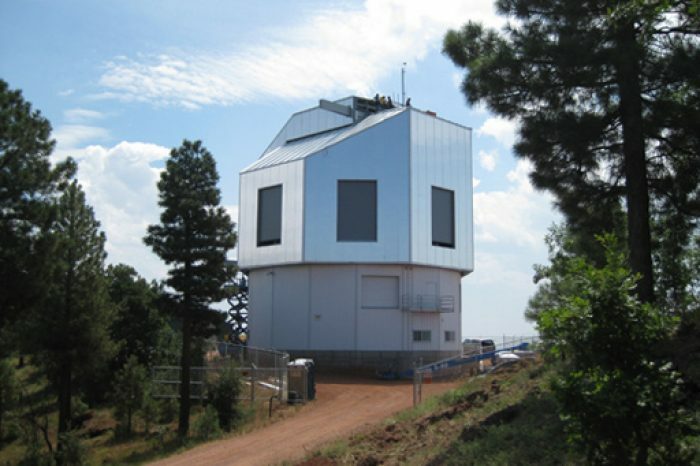 This structure is a highly insulated and conditioned space designed for the telescope requirements for year round use. 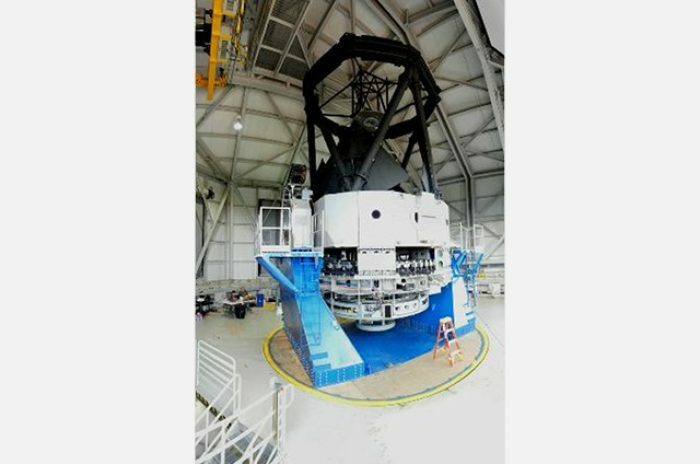 The octagonal dome is designed to handle a 10-ton bridge crane above the instrument for telescope erection and primary mirror removal. 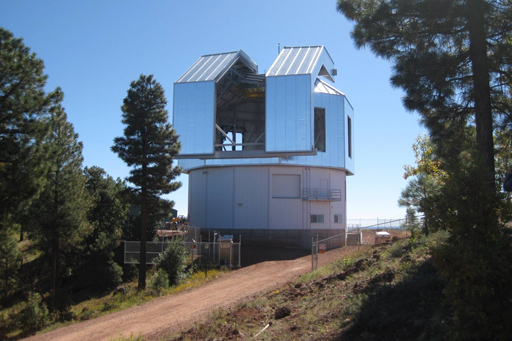 The ventilation openings were simplified with cost effective insulated roll-up doors that are remotely controlled along with the rest of the enclosure azimuth rotation and shutter door movement.